Medications to treat diabetes have a come a long way. From the standard insulin injections first discovered by 1923 Nobel Prize winners Frederick G. Banting and John Macleod in Toronto, there exists a spectrum of slow-acting and fast-acting insulin injections, in addition to oral medications and prescriptions to treat complications of diabetes such as heart disease. The oral medications that have been developed work in several different ways – alone or in combination with insulin injections and other drugs – to lower your glucose levels. While many of these oral prescriptions available for treating diabetes are helpful in keeping your blood glucose in better range, they also have the potential for some unpleasant side effects. As with any treatment that you seek to undergo or stop, it is crucial to weigh out the pros and cons of whether or not the medication side effects outweigh its benefits. This is a discussion best had with your medical care provider. Especially for people with Type 2 diabetes, oral medications offer a way to get effective treatment while avoiding or decreasing the amount of painful insulin jabs necessary. Many of the diabetes oral medications, like Glucotrol, work by stimulating the release of insulin, while other medications, like Metaformin, increase sensitivity to insulin and inhibit the release of glucose from the liver. The side effects range from more common issues like nausea, diarrhea, weight gain, and headaches to more serious complications such as urinary tract infections, heart attack, and kidney failure. Other complications, such as bloating and gas, are not life-threatening but can be uncomfortable or at times a source of embarrassment. One member of an online diabetes forum nicked-named her Metformin “Metfartin” to put a humorous twist on the side effect she experiences. To get a full list of oral medications for diabetes, along with their benefits and side effects, we recommend checking out the Oral Diabetes Medications Summary Chart by the Joslin Diabetes Center. When starting any new medication, makes notes and record how you are feeling directly in your Dario app. Journaling how you are feeling, both physically and emotionally, is a helpful tool in noticing other changes in your body. Making notes can also assist you in understanding if the way you are feeling or the side effects you are experiencing are related to the medication you have started, something you are eating or drinking, or other activities. What is key is that you discuss with your doctor all of your medication options. If you are experiencing any of the more serious symptoms of heart attack, infection, or kidney failure associated to your prescription contact your doctor or emergency medical services immediately. If less serious side effects such as nausea and upset stomach persist after the first few weeks of treatment with your oral medication, talk to your doctor about the possibility of switching to another type of medication or what the impact of stopping treatment with that prescription would be. Always know what your medication options are, because if there are alternatives that create fewer side effects, you have the right to live more comfortably while still receiving adequate care for your diabetes. Mayo Clinic Staff. (2014). 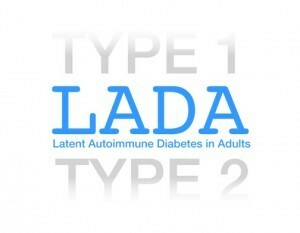 Diabetes Treatment: Medications for Type 2 Diabetes. We all know the health reasons behind changing your lancet and keeping sterile needles for insulin. But why should it matter where on your body you inject? In actuality, where you inject your insulin and how often you inject it there can have some considerable impacts on the rate of insulin absorption and changes in skin texture around the injection site. The best way to avoid complications from over-injecting in the same place is to constantly change where you inject and use a system of injection site rotation. One major motivator for alternating your insulin injection spots is to avoid lipohypertrophy – the accumulation of fat cells under the skin. When the tissue thickens, lumps of fat can form around the injection site and can slow the absorption of insulin into your blood stream by as much as 25%. Another side effect is liposatrophy, where the fat beneath the skin’s surface becomes depleted and can give a dimpled appearance. 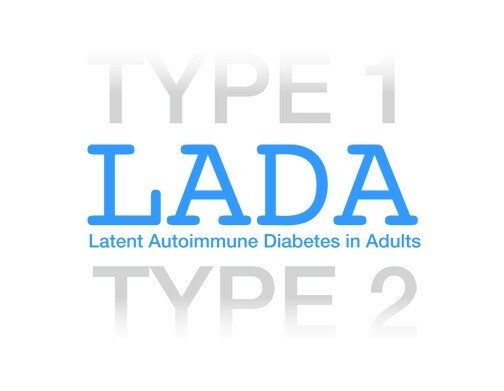 While these conditions (collectively known as lypodystrophy) are not life threatening, they can result in less stable blood glucose levels since an increase of insulin resistance can occur at the injection site and may require higher doses of insulin over time. Don’t leave your injection sites to a wheel of fortune and plan ahead for your insulin injection rotation. 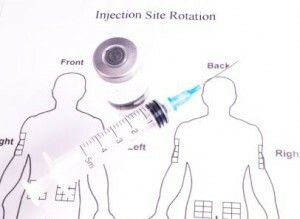 When possible keep each of your daily injections to the same region and rotate around that area. For instance, if your morning insulin is placed in the abdomen on Tuesday on your left side, then your morning injection for Wednesday should be on the right side of your belly – not in your arm. Take it a step further and map out your injection sites. As most people inject into the abdomen, let’s start here. You can divide your belly in 4 quadrants and divide those areas in to even smaller areas, rotating in each part in a circular method keeping each injection 2 – 3 cm from your last injection and being careful to avoid any scars or the area near your belly button. Move on to injecting in another quadrant the following week. This same mapping and can be used on other areas for injection. You can keep track of this in a journal or use your Dario app to document where you last injected along with the dose and type of insulin. As always, we recommend reviewing any plan or change with your doctor. Constantly needing to inject yourself can literally be a pain. But keeping a routine for rotating your insulin injection sites can prevent complications and help keep your blood sugar levels more consistent over time, making living with diabetes a little bit easier. Patton, S.R., Eder, S., Schwab, J & Sisson, C. (2010). Survey of Insulin Site Rotation in Youth with Type 1 Diabetes Mellitus. J Pediatr Health Care; 24 (6): 365-371. Even though it seems like summer has just begun, a new school year is just around the corner. And while your kids may be cramming to finish those summer reading assignments, if you are a parent of child with diabetes you should also be doing your homework to make sure a proper in-school diabetes care plan is set in place. Creating and updating a Diabetes Health Care Plan for School with your child’s teachers, school nurse, and medical team is critical to ensuring your student has access to everything they need to keep their blood glucose levels stable and their minds learning. To start off on a great diabetes health care plan, take the team approach. Collaborate with your kid’s doctors, school nurse, teachers, and support staff. And don’t forget to include the student in creating your plan; it is important for you child to feel involved as much as possible in their diabetes care (on an age appropriate level). The plan that you develop should outline the various responsibilities of the school, parent, and student and what actions need to be taken for regular monitoring, hypos, and hyper symptoms and their treatments. Also keep in mind your child’s reactions to gym class, field trips, and bus rides to school. Instructions for administering insulin with details about injection times and doses in relation to blood glucose readings and how to store the insulin. If you need more assistance to create your plan, the National Diabetes Education Program has some great templates. As a parent, the Dario Personalized Smart Meter, gives you the ability to review and monitor your child’s blood glucose levels from afar. Dario’s hypo alert function will text you if you child’s blood sugars have gone too low so that you can reach out to your child and the school to make sure that appropriate steps have been taken to keep your child safe and healthy. According to the American Diabetes Association, several studies have illustrated a real lack of understanding of diabetes by a large percentage of school employees. Many parents don’t feel secure in a teacher’s ability to help their child manage their diabetes. In many locations, it is the legal responsibility of the school to train their staff on helping their students with diabetes. 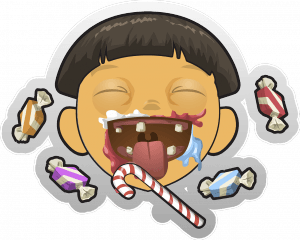 Myths like people with diabetes should never eat sugar are pervasive and could be a potentially dangerous notion by an adult who is caring for your child if they are having a hypo. Diabetes education and information is key! Speak to your Parent Teacher Association and your local diabetes advocacy organization about holding a diabetes education day at school for students, parents, and teachers. The more people that know the facts about diabetes, the safer and more secure your student will be. Plus helping to organize a diabetes education day at school can be empowering for your child living with diabetes. Dario will be you and your child’s favorite back-to-school essential. A healthy lifestyle centered on proper nutrition and fitness should be a goal for everyone to have in mind, but is especially important for people living with the challenges of life with Type 2 diabetes. I’ll start this post off with a little personal story. About 4 years ago, I was severely overweight and diagnosed with pre-diabetes. My doctor wanted me to start taking medication but I was afraid. Instead we struck a deal – I will start watching my diet and increasing my level of physical activity and we’ll re-test in 3 months. Talk about a wake-up call! I immediately enlisted the help of a certified dietitian and personal trainer. Fast forward 3 months, my glucose levels are still high but I no longer would need to take medication if, and only if, I continue with my new healthier lifestyle. Today, 3 years later, I am down 150 pounds and my glucose levels are within normal-range. 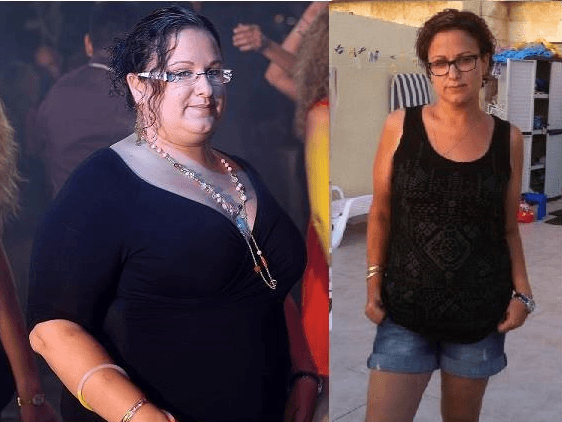 I am not saying that proper nutrition and exercise will cure diabetes but I am living proof that it can improve outcomes and make life better. In hopes that my little story can inspire others to get up and get moving here are 10 tips that I found most useful when I first started out. 1. Exercise needs to be fun or you won’t do it. You have to decide what activities you like to do. For me it’s running and strength training. For my father, a diabetic for over 30 years, it’s cycling and yoga. Find what suits you and go with it. It’s the only way you’ll stick to it. 2. Work with professionals. Enlist the help of your doctor, caregiver, trainer or anyone that has professional-level knowledge to get you started properly and monitor you as you move forward. 3. Muscles are made in the kitchen. Nutrition is the cornerstone of any wellness program. A well-balanced, healthy nutrition plan will not only help keep your sugar levels in-range but will also make you feel more energized throughout the day. 4. You don’t need to workout for 2 hours. The rule of thumb is 30-45 minutes a day of exercise. If this is too much for you to do at first in one time, split it up. Do three 15- minute sessions. 5. Find a Buddy. Working out with a friend is a sure way to enjoy it more and make sure you stick with it. Support and encouragement will help you succeed in meeting your fitness goals. 6. Track your fitness and nutrition. We are all guilty of this – we overestimate how many calories we burned and we underestimate how many calories we consumed. Tracking is the best way to know exactly where you stand and where you need to make changes to stay on track. 7. Be realistic. The goal here is not to compete in next year’s Mr. or Ms. Olympia contest. We are here to be healthy and manage diabetes as best we can. Set realistic goals and you’ll be sure to reach them. 8. Test your glucose levels regularly. Especially when you are starting out a new exercise and nutrition plan. This is crucial. The Dario Smart Meter is perfect for this – it’s small and compact and you can take it with you anywhere. It is important to know how your body is reacting to the change and better results will keep you motivated to continue! 9. Drink plenty of water. 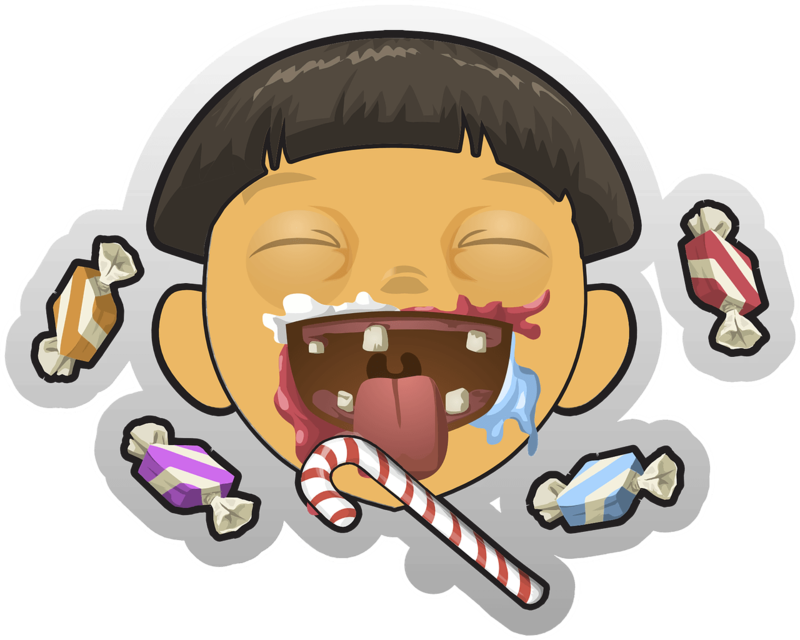 Other drinks like juices and sodas are loaded with sugar and empty calories. Even diet drinks are a poor alternative to a cold glass of water any day. To make water a little more interesting, infuse it with lemons or fresh mint. 10. Go Social. You have endless online resources such as websites, Facebook groups and online communities to help you create the right wellness plan for you. You will learn fun new ways of staying healthy and meet some pretty cool people, with common goals, in the process. Whether you are gearing up for a hot summer getaway or a winter wonderland adventure, it is important to be prepared for travel if you have diabetes. It may not be the travel buddy you imagined roaming the world with, but if you are on a voyage with diabetes it can be made easier with the right planning. So check out our travel tips and interview with travel blogger Carolina Peñalver to get, ready, set, and go! Before organizing any major trip, it is best to have a chat with your doctor about how well your diabetes is being managed. Having this conversation will give you some time to try and get your blood sugars more in balance if they need some improvement before departing on your great adventure. Make sure to get a letter from your health care provider along with prescriptions for your diabetes meds or insulin. This is a must have if you plan on flying to your destination. Keep your supplies well organized in a pouch or bag, with the prescription labels and your name on everything for inspection. Or else they may not make it past security. Having a medical ID bracelet and learning how to say “I have diabetes” in your destination’s language is also a good step. Do a little homework and find out how to access health care services in the country that you are traveling to before you set foot outside the door. You can find doctors who speak your language by visiting the website for International Association for medical Assistance to Travelers (www.iamat.org). Check that you have travel insurance that will cover you for diabetes related expenses. Find out the local diabetes organization of the country you are going to and connect on social media to local Facebook groups and Twitter pages for people with diabetes. These online communities can really help you out in a pinch. Plus they may give you good tips on local dining spots and places of interest. You don’t want to waste your precious beach time searching for diabetes supplies while abroad if you don’t have to. Make sure to bring more than you need and don’t dare think about putting your supplies in your checked luggage. Keep it with you at all times. Since you may be more active than normal, adjusting to time differences, and have a change in climate, it is a good idea to test your blood sugar more often. Keep snacks available if you can’t find foods you are familiar with as well as glucose tabs in case you need to treat a hypo on the road. It’s a good idea to discuss with your doctor how to adjust your insulin schedule if you are flying across time zones or if you need to inject while in the air (the pressure in the cabin can affect the amount you need to inject). If you are headed to the heat, make sure that you keep your insulin cool and your strips at the right storage temperature. You can purchase cooling packs especially for your diabetes kit. And while you are on the beach, don’t forget to protect those precious tootsies with proper footwear and diabetes foot care measures. 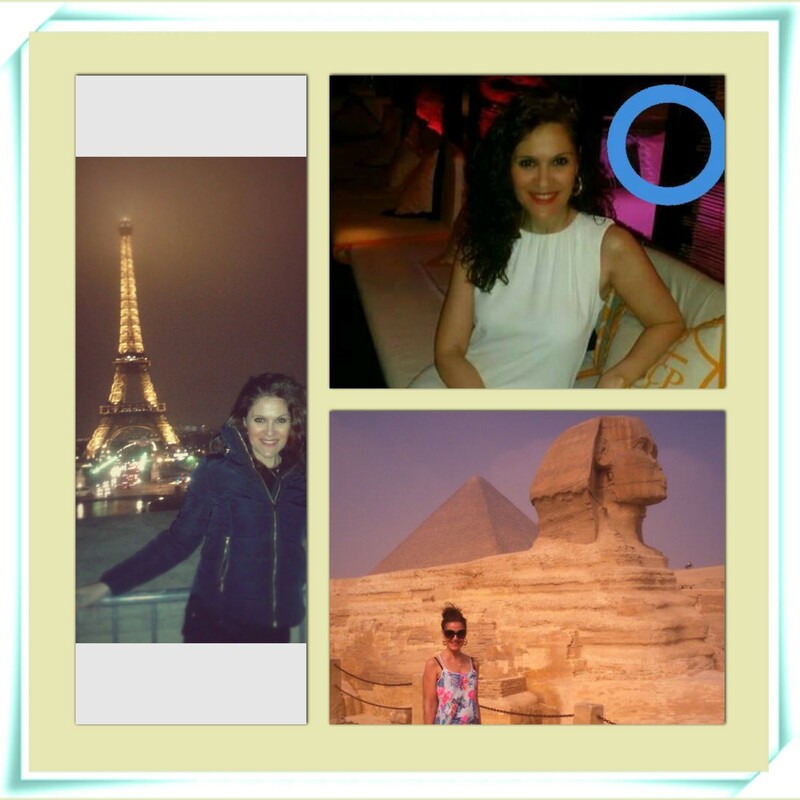 Sara Dario: What inspired you to start traveling and write your blog “Diabetic World Traveler”? Carolina: I have always loved being a traveler and the idea to explain my experiences in a blog was something that I always wanted to do. One day I decided to put my idea into practice and create a blog to explain my experiences as a traveler with diabetes. Sara Dario: How do you prepare to travel? What is in your diabetes travel kit? Carolina: In my diabetes travel kit, I always have my medical certificate written in English and Spanish and all of the things I need to manage my diabetes I bring with me in duplicate. I always prefer to make sure I have everything that I need. My kit consists of: glucometers, needles, test strips, insulin, cold thermal bags, glucagon, sugar packets in case of hypos, and lancets. Sara Dario: How do you plan with your doctor? Do you change your treatment plan for other time zones? Carolina: For now my travels have been short so I have not needed to prepare with my doctor, the only preparation I have are routine visits for diabetes. But now I’m going to prepare a trip around the world with diabetes, and for this I am going prepare with my doctors. Sara Dario: Have you ever run into any medical issues with traveling? How did you handle it? Carolina: In Amsterdam I was robbed of my purse with my diabetes kit inside, but luckily in the hostel where I was staying I had another diabetes kit. For this reason, I always bring everything in duplicate in case I lose my bag or it is stolen so I always have a back-up. 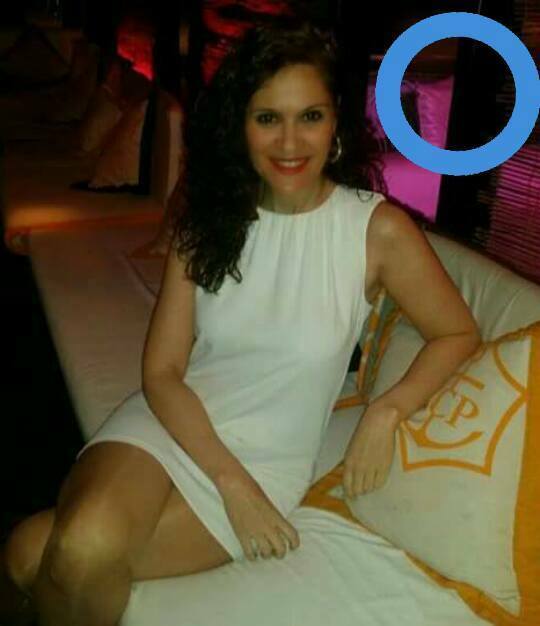 Sara Dario: While traveling, have you met other people with diabetes? Carolina: So far, I have only met one other diabetic traveler while I was in Egypt, an older man with type 2 Diabetes. But during my travels, When I am taking glucose readings or injecting in front of other people as I do naturally, if the person doesn’t know me I advise them before and let them know that I am a person with diabetes. Sara Dario: Where is the next place that you want to travel? Carolina: I want to fly around the world with diabetes. Now I am preparing to travel the same route as Willy Fogg (an anime character based on the Julies Vernes novel “Around the World in 80 Days”). The pocket sized Dario Smart Meter that connects to your smart phone and fits in your purse or pants makes a great travel companion. Don’t worry about not having a data or WiFi connection while abroad. You can check your blood glucose while on the airplane (with your phone in airplane mode) and sync your data to the cloud when you are reconnected to the wifi service at that cute internet café you found in Paris or Rome or Thailand. If you are noticing that you feel your blood levels are off you can quickly dispatch your latest test results via email to your doctor for advice while overseas. You won’t travel alone with Dario. With Dario, the world and your glucometer are always at your fingertips. The Dario device tracks your numbers so you won’t need to remember to take a memo book and pen wherever you go. It also uploads your information to a cloud platform so that a caregiver in another location can check your records and advise you on adjusting insulin levels if necessary. Please see mydario.com/ for more information. It’s time to beat the heat! With Dario at your side and these recipes you can keep your cool in more ways than one. When you start serving these sweet, natural and delicious treats you’ll find yourself hosting a lot of company this summer! 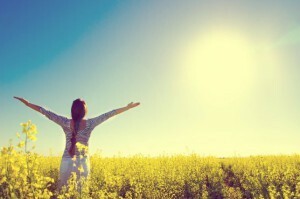 Scientists believe that connection between vitamin D and diabetes is linked to the vitamin’s ability to constrain an autoimmune response to the beta cells of the pancreas. In one study, children who received vitamin D supplements were less likely to develop T1 diabetes. [iv] For some people at risk of developing T2 diabetes, higher levels of D vitamin may improve insulin sensitivity, which reduces the risk of becoming insulin resistant. All you need is a 10-minute dose of sunshine, but if you can’t find the time or location to catch some sunrays, vitamin D can be found in supplement form or in foods like salmon, swordfish, milk and other dairy products fortified with vitamin D. Surprisingly, vitamin D is one of those nutrients that cannot be found in many foods since it is best absorbed by the skin and less so by the stomach. According to the US National Institutes of Health, the recommended adult daily dose of Vitamin D is 600IU and increases after age 70. So go and take your Dario out for a stroll and soak up the sun! The compact Dario Smart Meter fits right in your pocket and connects to your phone, so there is no need to carry a bag or purse as you freely stroll down the street to work on your Vitamin D (plus the added calorie burn.) If you plan to stay out for a long time or go for a longer walk, make sure that you take pre and post BG measurements with your Dario. Vitamin “D”ario helps you better manage your diabetes. Sharing your fitness time with a friend can make getting in your exercise more manageable. Shoot some hoops with your kids or take a daily stroll with your friend or neighbor. Create fitness goals and reward yourself when you reach them – even if it is something as simple as reading your favorite magazine after a 30 minute stroll or buying some new clothes after a few pounds lost. Motivate your fitness regime by trying new classes at the gym – maybe a Zumba class or hip hop? Don’t worry about how you look bopping around. Focus on how good you’ll feel working towards your fitness goals and keeping your blood sugar levels in better range. Most importantly, don’t forget to your Dario when you hit the gym. Check your blood sugar levels before and after physical activity to see how your BG levels are impacted by physical activity. If you feel any hypo or hyper symptoms, during your exercise, take a breather and check with your Dario. You can log your activity directly into your Dario Diabetes Management App along with your daily calorie and carb intake. Going for a run? Dario connects with RunKeeper to making keeping track even easier. You can also feel more secure that if you have a hypo while working out, your loved ones and caregivers can be alerted through Dario’s hypo alert contact. With Dario you won’t miss out on the fun because your health information is readily available and accessible. Please see www.mydario.com for more information. Go on out, run, skip rope, lift weights and be at your optimal health level with Dario at your side! There are so many safety precautions that drivers must adhere to these days – and most of them are for good measure! Today’s road hurdles include other drivers who may be putting on make-up, eating a hamburger, chatting on the phone while driving and more serious threats of drivers who drive and text and drive under the influence of drugs and alcohol. For people with Diabetes, many must take the extra precaution to measure their blood glucose level prior to getting behind the wheel. It is essential to make sure that you blood levels are in good range before getting behind the wheel, especially in cases for insulin dependent Diabetes, to make sure that you don’t have a hyper or hypo event while driving. If your blood sugar levels dip too low you might drive erratically, weaving in and out of lanes or even fainting at the wheel. If your levels shoot up your vision may be compromised. In the UK and many other countries, you are legally required to check your BG level and know the number before getting in the car to drive. If you are involved in a traffic incident, you may be asked to provide your latest BG reading and, if you don’t then your license may be revoked. People with Diabetes need to inform their insurance companies if they are treated with insulin. If their diabetes is not well controlled or if they suffer from other diabetes complications like impaired vision they may not be able to renew their licenses. If they fail to inform the insurance companies they can have their insurance revoked. Commercial drivers have specific rules and must refer to a local licensing bureau. For those newly diagnosed with diabetes, immediate concerns center around regulating insulin dosage/sugar levels, getting used to pricking a finger up to six times a day and developing a new diet. However, it’s crucial to be aware and alert to the problems a diabetic might encounter while driving, especially long distances. Preventing these issues and managing your Diabetes with Dario are keys to safe driving. Before driving, especially on a long trip, make sure you have eaten and are properly hydrated. 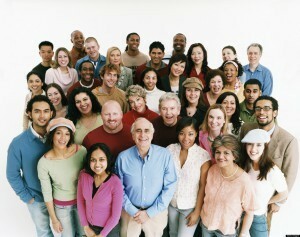 Follow these tips which can be found on the Joslin Diabetes Center website www.joslin.org. Check your blood so that you have a baseline sugar number. Don’t drive for more than two hours before taking a break and eating and drinking as needed. Always carry glucose tablets, water, and doctor-recommended snacks with you. If you feel that you are about to faint or your driving is impaired in any way pull over to check your levels. If you need to take glucose tabs or insulin, wait for them to take affect and test again to to ascertain if it is safe for you to drive. 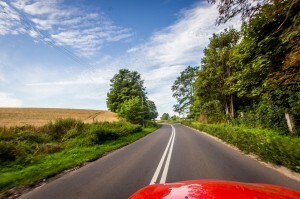 Break up trips of more than eight hours into two days unless there is another driver. Don’t leave your monitor in the car during extreme heat or cold and wear a medical ID bracelet which states you have diabetes. While rushing from one task to another and with all the pressures of balancing home concerns and work priorities, it can be difficult to take the time to monitor insulin levels and your sugar numbers. That’s why Dario is the most important tool you can find in managing diabetes. The Dario device tracks your BG reading for you, so there is no need to fumble for a paper and pen. It safely uploads your information to a cloud platform so that a caregiver in another location can check your records and advise you on adjusting insulin levels if necessary. Please see www.mydario.com for more information. Every driver must always be alert while driving. Drivers with diabetes need to take extra precautions, but with Dario at your side you can feel confident that you are taking the necessary steps to have the knowledge that your blood sugar numbers are safe for driving. Dario can keep you on the road to diabetes management success. Testing your blood sugar in public and how often one should change their lancets is a common topic in the Facebook Dario Lounge. And I was quickly reminded of this in my Friday morning foreign language class. Our teacher asked us to speak about what we do for a living and since I love what I do at Dario, I was happy to demonstrate for everyone a blood glucose measurement with my Dario Smart Meter and iPhone. Now I was experiecing for the first time what it was like to test your BG in public. I suddenly felt some sense of shame for making myself bleed in public and that my classmates were worried that I was carrying some random blood borne illnesses. Feeling the weight of these stigmas related to testing your BG levels in public was not cool. But it did get me thinking, what were the proper safety protocols for keeping myself and others safe when testing with my Dario Smart Meter? 1. Change your lancet every time. While the best practice recommendation is to change your lancet with each use, Certified Diabetes Educator and member of Dario’s Scientific Advisory Board, Gary Scheiner, notes that is not necessarily the behavior of most people living with Diabetes to do so if they are taking multiple, daily readings. The reality is that many people with Diabetes only change their lancets on a weekly or even monthly basis. So what are the benefits to changing your lancet each and every time you test? The more times that you test with the same lancet, the duller the lancet becomes. For a dull lancet to be effective you will need to increase the lancet depth, which can ultimately increase the pain of the testing. Although it is highly unlikely that you will get an infection reusing your own lancet, using a new lancet every time also decreases the risk of bacterial and viral infections, such as Hepatitis B. According to the US Center for Disease Control (CDC), people with Diabetes have an increased risk for Hepatitis B infection when compared to the overall public. Hepatitis B can be up to 100 times more infectious than HIV and can survive outside the body for up to one week. However, there is a vaccination against Hepatitis B to prevent it which is recommended for people with Diabetes. And although in today’s day and age it seems obvious, it still needs to be said: do not share your lancet device or needles with others to prevent contracting any infection. 2. Keep yourself and your Dario clean. Always wash your hands before testing to ensure accurate readings and decrease the risk of infection. There is no need to use alcohol to clean your fingers – it just dries them out and makes the prick sting. If your Dario gets dirty, the outer surfaces may be wiped with a soft, lint-free cloth slightly dampened with mild soap and water solution (be careful not to get too much water on your Dario) or 70% ethyl alcohol. Clean the Dario Blood Glucose Monitoring System with IPA 70% (isopropanol) wipes at least once a week and with germicidal disinfection wipes once a month. You can read more about keeping your Dario clean in our user guide. 3. Know how to dispose of your used test strips and lancets. Ideally, your used test strips and lancets should be disposed of in a proper sharps bin or clipper, which are available in certain regions on prescription. Since each country has their own guidelines about appropriate disposal of used strips, lancets, and needles, it is a good idea to Google the local Diabetes organization in your area (or travel destination) to find out what to do. 4. Stay informed and raise awareness about Diabetes. Always keep yourself in the know about best practices for managing your diabetes safely. Read articles, blogs (like this one 😀 ) and speak to your healthcare providers about safely and accurately testing your blood sugars. If you are comfortable testing in public and someone gives you funny looks, tell them what you are doing and why. Time and again we hear so many stories in the Dario Lounge about the misinformation and misconceptions about living with Diabetes. Take the opportunity to advocate for the Diabetes Community. In the end, I think my class had a better understanding of what people living with Diabetes need to do on a daily basis to manage their condition and I think I gained an important experience in becoming more empathetic as to what it is like to have to test your blood sugar in public thanks to my Dario demonstration. Most of you probably heard of efforts going into growing synthetic meat in the laboratory; or more specifically, the media craze that surrounded the first lab-grown hamburger eaten by volunteers in London in August of 2013. The researchers that succeeded in making that first burger believe that synthetic meat can provide the answer to the food problem of the future. They claim that growing meat in a lab rather than getting it from animals would significantly reduce greenhouse gases, along with energy and water use. That first burger cost $325,000, but that is bound to drop dramatically with increased rate of production. The texture and taste weren’t exactly the same because the synthetic hamburger did not contain the fat of a regular hamburger- but that can be improved and customized with healthier substitutes. Yes, you read that correctly. Insects. Though already popular in certain countries in Africa and Asia, just the thought is enough to make most people cringe in the west. In reality insects contain many nutrients- even more protein than meat- and are low in fat and cholesterol. And the word on the street is that they taste like chicken. Researchers are trying to find creative ways of making them into food while avoiding actually having to “eat bugs”. There are additional benefits too- they can create large amounts of protein from very little food, they thrive in tiny spaces, consume less water and have a very low carbon footprint. And there are about 1400 species of critters that we can eat. Most of you have probably eaten seaweed before in a sushi roll or wakama salad, so this might appear slightly more appealing than the insects mentioned before. 145 species of seaweed are already used in cooking around the world. Seaweed contains many minerals, vitamin groups and proteins and is a sustainable food source- it requires no fresh water, land or fertilizer to grow, and it’s the fasted growing plant on earth. Scientists believe that seaweed can be worked into our diet to provide us with alternative sources of nutrients. Another potential solution to the health and environmental problems that arise from meat consumption is to replace animal products with plant-based proteins that taste like meat and provide us with all the nutrients we need. This might sound very futuristic, but there are quite a few companies already focused on manufacturing food replacements- some aiming at replacing individual foods like eggs or meat, and others at providing all of the nutrients we need in one. Though extremely controversial, many experts still claim that genetically modified food could help the environment and our health in the long run. Most of the controversy has surrounded crops engineered to look better, grow quickly and resist pests, but genetic engineering can also add nutrients to certain foods, for example, or deplete others to benefit our health. As grim as our culinary future may seem, scientists are confident that the food of the future won’t be bland at all. Once they polish the recipes a bit they will have a real chance of designing healthy food alternatives to the hungry billions, in addition to potentially lowering the levels of obesity, heart disease, diabetes and more by controlling quantities and qualities of sugars and fats in food. Diabetic Retinopathy- What is it? Diabetic retinopathy is part of a group of eye complications named diabetic eye disease, which also includes cataract (clouding of the eye’s lens) and glaucoma (increase in fluid pressure in the eye that leads to optic nerve damage and loss of vision). Diabetic retinopathy is the most common diabetic eye disease and is caused by damage to the blood vessels in the retina. It is the most common cause of blindness of adults in the USA and the UK. The retina is the light-sensitive layer of cells at the back of the eye (see picture below), which converts light into electrical signals which are sent to the brain via the optic nerve, where it is “translated” into images we see. High blood glucose levels are the main cause of retinopathy, but high blood fats and high blood pressure can also contribute. Smoking also plays a part in eye damage. All of these can damage blood vessels all over the body, but small and delicate blood vessels such as those supplying the retina are especially susceptible to damage. When blood vessels supplying the retina become damaged (leak, become blocked or grow abnormally), the retina cannot function properly and that causes the blurry vision, spots in your vision (that sometimes come and go) or even blindness. Everyone with diabetes (all types) is at risk. A large percentage of people diagnosed with diabetes have some stage of diabetic retinopathy, therefore it is very important to be aware and get regularly examined. 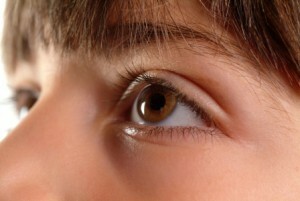 What types of retinopathy are there? Background or non-proliferative diabetic retinopathy- the earliest visible change to the retina, which does not affect the eyesight. Small blood vessels in the retina become blocked, causing micro aneurysms (small bulges) and may leak blood or other fluid. Maculopathy or macular edema- occurs when background retinopathy happens in or around the macula (see eye diagram). It can happen at any stage of background retinopathy, and disturbs central vision needed for precise sharp vision. Fluid leaking into the macula causes it to swell, leading to blurry vision and problems in seeing fine details. Proliferative retinopathy- this stage occurs as retinopathy develops and large areas of the retina do not receive proper blood supply, stimulating growth of new blood vessels in an attempt to compensate. These blood vessels are abnormal and fragile, and if they leak blood, scar tissue may form leading to eventual detachment of the retina and possible vision loss and blindness. If you have diabetic retinopathy, ask your doctor which type of treatment is the best fit. Timely and adequate treatment can greatly reduce the chances of vision loss. Laser treatment- The tiny laser burns small areas in the retina, improving the blood flow and destroying abnormal new blood vessels. It is a relatively simple procedure that has greatly improved retinopathy treatment, reducing the risk of future blindness by up to 90%. It is usually used when macular edema occurs or in the stage of proliferative retinopathy. Anti-VEGF injection- this treatment is used for macular edema. VEGF, or vascular endothelial growth factor, is produced by the retina to increase blood vessel growth, and is activated when blood vessels are blocked or damaged. Anti-VEGF treatment blocks this growth factor, inhibiting abnormal blood vessel growth. Steroids- A small implant is inserted into the affected eye to treat vision loss associated to macular edema which has not responded to other treatments. The implant releases low-dose and long-acting steroids over a period of approximately three years. Vitrectomy- This major procedure is performed when a hemorrhage does not clear for several weeks or in advanced proliferative retinopathy. During the procedure the vitreous gel clouded by blood (see eye diagram) is removed and replaced with a clear substance. If you have diabetic retinopathy, you might not notice changes to your vision at first. Therefore it is very important to get a comprehensive dilated eye exam at least once a year. Go to your doctor immediately if you notice any changes in your vision. Whether or not you have symptoms, your eye care professional can tell if you have any stage of retinopathy. Early detection and timely treatment can prevent vision loss. Try to control blood sugar levels as indicated by your healthcare team, this slows the onset and progression of retinopathy and lowers the need for laser surgery. Try and follow indications by your healthcare team regarding medication, diet and weight loss. If you smoke, try to reach out to get help to quit. This is general information about diabetic retinopathy, it is very important to see your eye care professionals regarding your specific condition, as they have examined your eyes, are familiar with your specific condition and can best answer any question you may have. But remember- retinopathy is treatable and vision loss can be avoided! As all of you know, the number of people with diabetes has been drastically climbing in the last few years, and with healthcare becoming more and more expensive and direct patient-doctor time decreasing, a lot of research and investigation has been going into informal care in addition to the traditional direct formal healthcare (without substituting it, of course). Most people living with diabetes have to deal with managing their condition and health most of the year by themselves, and the educational guidance they are offered is very limited. Naturally, the influence of the support provided by one’s surrounding community has grown. The importance of getting support from your friends and family when you have a chronic illness like diabetes has been recognized for decades. The more you involve your immediate and close community in the details and management of your diabetes, the easier it is to self-manage and control your disease, your nutrition and the better you feel emotionally. There are even studies that show the positive physical outcomes of family support- in overall blood glucose levels, complications and A1c levels, among others. Lately, with the appearance of dozens of social networks and online forums outside people’s immediate surrounding community, researchers have focused their attention on the possible positive effects these can have on disease management, emotional well-being, physical outcomes and more. David Reeves et al. recently published a study on this different form of community in the PLOS one journal. They found that positive social involvement in community groups, online forums, etc. strongly supports disease self- management and physical and mental well-being and that this support expands with one’s health needs, helping people cope practically and mentally with their condition. Community groups help people increase their self-monitoring, learn skills and techniques and maintain healthy behaviors over time through daily and active engagement- basically meaning, having these things on your mind every day helps. So if you aren’t part of an online community like the Dario Lounge, maybe you should think about joining one. Studies show that it can greatly help you manage and control your diabetes, and promote your emotional and physical health. Get by with a little help from your friends. Over seven years and millions of interactions on Diabetes Daily, we have seen many people make the same mistakes. 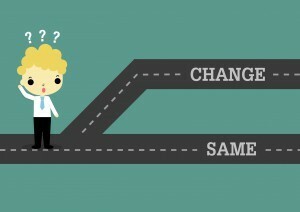 Here are five of the most common ones along with potential solutions. What mistakes are missing from the list? Share your experience in the comments and help spare your peers some difficult days.